Welcome to the Michelin Career Center! 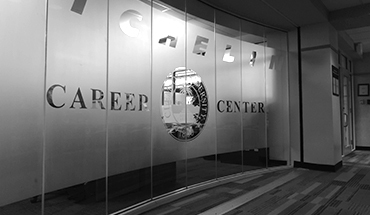 The Michelin Career Center, part of the Center for Career and Profressional Development, serves both students and employers through a variety of services. We offer students, in all stages of their education, career counseling and assessments, resume and cover letter reviews, information workshops, job search advice and more. Students and employers can take advantage of our on-line recruiting system, ClemsonJobLink, for job postings, on-campus interviews, company information sessions and career fairs. We are here to assist students and employers in making connections! If you need to reschedule or cancel your appointment, please notify our office 24 hours in advance. This allows our staff to offer your appointment time to another student, who is in need of our services. Failure to cancel your appointment within 24 hours, more than once, will result in losing your appointment privileges for the semester; however, you may still utilize our drop-in services.